If STUFF is accumulating around the house and yard, and you are in the mood for cleaning up, save the date! WHEN: The Roseway Neighborhood Association (RNA) will hold a Neighborhood Cleanup this spring on Saturday, May 11, 2019 from 9:00 am – 3:00 pm. WHERE: 82nd Ave & NE Siskiyou in the Glenhaven Park parking lot. WHAT TO BRING: Among the items accepted are metal, electronics, batteries, appliances, furniture, bicycles, mattresses, lawn mowers, yard debris, clothing, household items, and toys. In addition, the cleanup is accepting reusable items for the ever-popular Reuse Me Sale. WHAT NOT TO BRING: Prohibited items include household hazardous waste (batteries, paint, chemicals, etc. ), Construction, demolition and remodeling debris, and asbestos-containing materials. For a complete list of hazardous items and to find safe disposal sites, visit this site or call 503.234.3000. FEES: Dropoff fees range from $19- $28 depending on the materials. Roseway community members are invited to volunteer for this event!! It’s a great way to spend the day outside and meet your neighbors. Job Descriptions and Sign-ups are here. Get Ready for the Roseway Neighborhood Clean-up! Â Changes have been made to what is acceptable. Please read CAREFULLY! 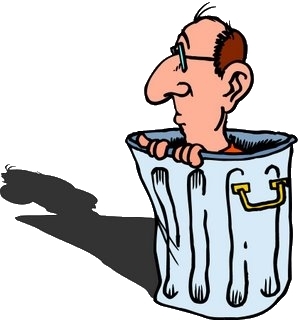 HAZARDOUS WASTE – gasoline, chemicals, oil, paint, tar, batteries, animal waste or liquids of any kind. DO NOT bring these materials or like materials. We must refuse your entire load! What is OK to Bring? VIRTUALLY EVERYTHING ELSE! Such as: Yard debris (stuff that grows in your yard), household items, furniture, mattresses, electronics (except old-style TVs), metal, tires, toys, bulky-rigid plastic. All proceeds benefit Roseway Neighborhood Association community events and projects. Re-Use-Me Sale: Accepting donations. Bring your reusable items and take home a treasure at a great price! 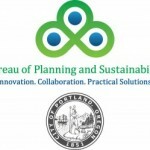 Our Neighborhood Associations are basic building blocks of Portland. They are comprised of volunteers like you and me who enthusiastically work to increase the vibrancy, livability, sustainability and democracy of their neighborhoods. If you have not been to a neighborhood meeting, please come by. They are held the 2nd Tuesday of every month @ 7pm at Grace Lutheran Church, NE 76th & Fremont except Aug and Dec. Board members are elected in the October meeting. ROSEWAY NEIGHBORHOOD ASSOCIATION BELONGS TO EVERYONE! YOU CAN MAKE A DIFFERENCE! Check the calendar link above to previewÂ EVENTSÂ for 2017. What is OK to Bring? Note changes of acceptable items this year. Sorry for any inconvenience. NO Hazardous waste, gasoline, chemicals, oil, paint, tar, batteries, animal waste or liquids of any kind.Â NO building, construction, remodeling, demolition or landscape materials, such as but not limited to concrete, asphalt, dirt, sod, brick, cement, sand, gravel or roofing, flooring, walls, siding, ceilings, insulation, electrical, asbestos material and NO under the sink garbage! DO NOT bring these materials or like materials we will refuse your entire load! Accepting donations of reusable items for the Re-Use-Me sale, all proceeds benefit the Roseway Neighborhood Association community events and projects.Â Bring your reusable items and take home a treasure at a great price! Want to volunteer? Sign up byÂ Clicking Here. Call Ronda at 503-935-4874 please reference the Roseway Cleanup. Our Neighborhood Associations are a basic building block of democracy Portland. They are comprised of people who actively work (volunteer) to increase the vibrancy, livability, sustainability and democracy of their neighborhood. If you have not been to a neighborhood meeting, please come by. They are held the 2nd Tuesday of January, March, May, July, September, October (general Meeting) and November @ 7pm at Grace Lutheran Church, NE 76th & Fremont. You may be surprised by what you learn. ROSEWAY NEIGHBORHOOD ASSOCIATION BELONGS TO EVERYONE! YOU MAKE A DIFFERENCE! It’s Time for Roseway’s Annual Clean-up Event! Annual Roseway Cleanup is coming! The annual Roseway Cleanup will take place rom 9 a.m.Â to 3Â p.m.Â Saturday, May 24, at Glenhaven Park, NE Siskiyou Street and 82nd Avenue. This community event is a great opportunity to clean out your garage and support your neighborhood at the same time. We will accept METAL, YARD DEBRIS, WOOD WASTE, ELECTRONICS, BULKY WASTE and TIRES. Suggested donations are $10 per carload, $15 per truckload, $20 per large truckload, $3 per tire and $5 per tire with rim. Please note: We will NOT accept paint, chemicals, batteries or other hazardous waste. The crowd-pleasing YOU PRICE IT area willÂ also be back this year. Donate your reusable household goods to the community and give them a new home. Then, enjoy shopping for bargains! ToÂ make this event a success, we need more thanÂ 75 VOLUNTEERS. Come join the fun! 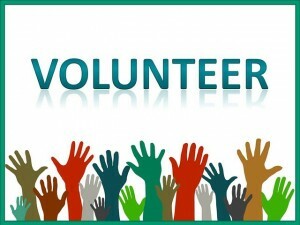 The volunteer shifts are 3 hours long and scheduled from 8Â toÂ 11 a.m., 10:30 a.m. to 1:30 p.m.Â and 1Â toÂ 4 p.m. 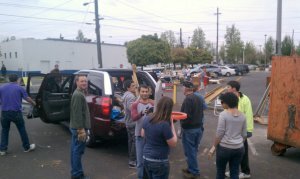 Shift leaders and volunteers are needed for: Yard Debris/Wood Waste; Metal; Bulky Waste; Greeters/Cashiers, Traffic Control, Plastics, You Price It, and Rebuilding Center. As an added bonus, all volunteers get to bring a load to the cleanupÂ for free, get first pick at the You Price It tent, and receive complimentary refreshments. Several volunteer spots are still needed and we look forward to seeing you! To volunteer, please email rosewayvolunteer@gmail.com and let us know your top three preferences, in order, for the area and shift for which you would like to volunteer and whether you are willing to be a shift leader. 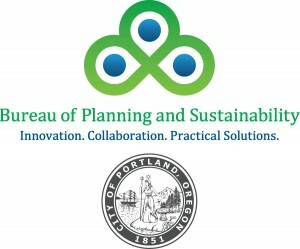 Bureau of Planning and Sustainability, Metro, Central Northeast Neighbors Inc., Portland Parks, Recology, The ReBuilding Center and Brickhouse Pizza.